An estimated 850,000 people in the UK have dementia, with the number set to rise to more than a million by 2025. Adapting the care environment to respond to the needs of this growing population is therefore becoming increasingly important ¬¬– with a move away from traditional clinical design, which does little to comfort and support those living with dementia, to more-supportive interiors. Paul Bevan, key accounts manager at Forbo Flooring Systems, said: “Creating the right interior designs for health or social care environments can make a fundamental difference to all who use the building – especially people with dementia, as age-related changes and impairments can make it more difficult to understand and navigate the built environment. “These can be sensory, mobility, or cognitive impairments, and sometimes a combination, which can affect functioning, behaviour, independence, and, ultimately, quality of life. 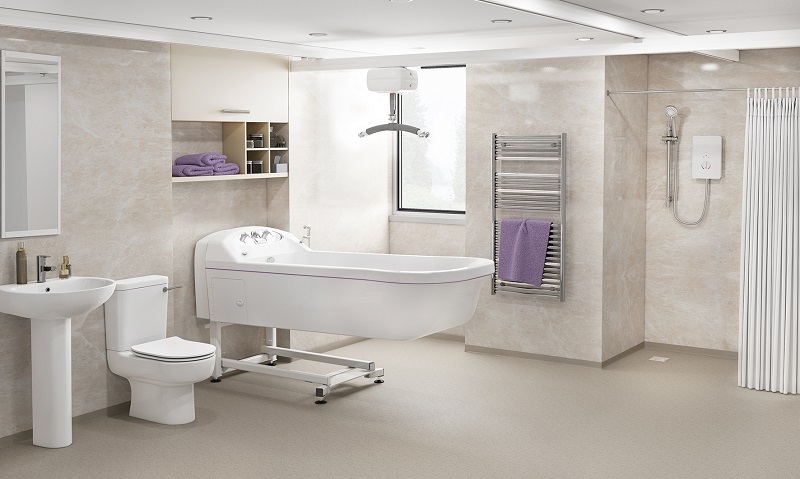 With this in mind, designers are now looking to create interiors that follow guidelines from experts in this field, such as the Dementia Services Development Centre (DSDC) at the University of Stirling, with appropriate finishes and furnishings to support people with dementia to move around with greater confidence. Understanding the role that flooring has to play in creating a dementia-friendly environment is key to achieving an overall holistic design – and there are a few factors that need to be considered. According to The Kings Fund’s Developing Supportive Design for People with Dementia paper, there are many things that can confuse and agitate patients with dementia. For example, some patients may avoid stepping on shadows or coloured strips on the floor because it may look like a change in level, and others may also resist walking on shiny flooring because it looks wet or slippery. 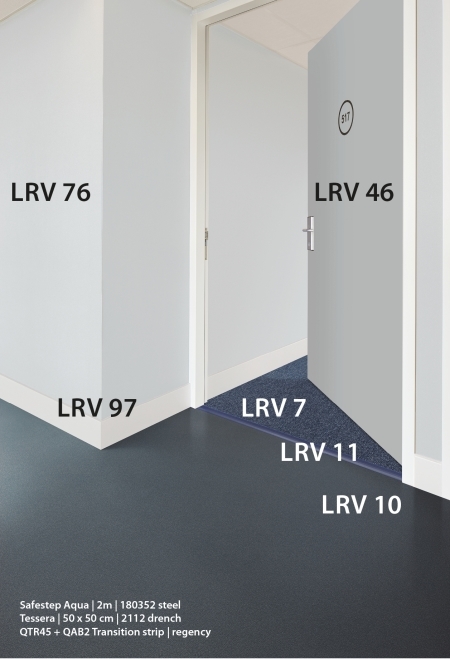 When it comes to aiding orientation and wayfinding; it is recommended that objects are used within an interior, rather than using colour changes within the flooring design, as this can cause confusion in relation to the elevation of the floor plane. However, evidence does suggest that using darker floor tones can increase confidence in walking among people with dementia. Reducing noise pollution is also essential to promoting the wellbeing and comfort of people working within a healthcare building, and for those being given care. What’s more, noise may be particularly distressing and disorientating for people with dementia. This is because dementia can worsen the effects of sensory changes by altering how the person perceives external stimuli, such as noise and light. Bevan said: “Incorporating building elements such as acoustic ceilings, partitions, and flooring within a project can offer significant contributions to noise reduction. It is no surprise that one of the key priorities for all health and care environments is to ensure that patients, visitors, and staff are protected from the risk of healthcare associated infections caused by bacteria (germs), which should be in accordance with the requirements set out in The Health and Social Care Act 2008: code of practice on the prevention and control of infections and related guidance. 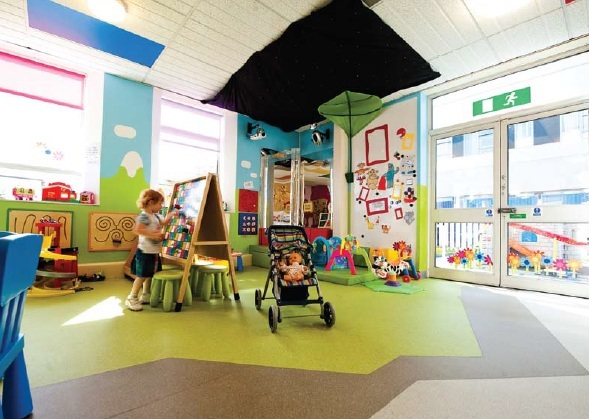 When it comes to infection control, there is no better way than to start from the flooring up, and there are floor coverings available on the market, like Forbo’s Marmoleum, that have been proven to inhibit the growth and spread of infections such as MRSA, Norovirus, E-coli and C Difficile. 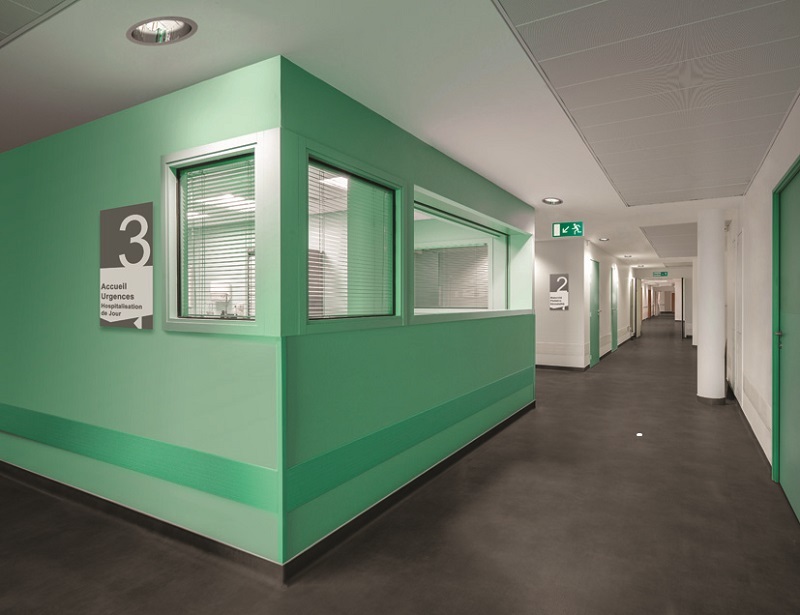 It’s also important that a well-designed and effective entrance flooring system is installed at the entrances and exits of a building, as these areas are subjected to heavy footfall daily. Preventing dirt and moisture from being tracked further into a building will optimise the long-term wear and appearance of the interior floor coverings and importantly, minimise the potential for slip hazards. Bevan said: “Although floors are just a small part of a healthy environment, they provide an important role in design: creating atmosphere, reflecting light, providing texture, and delineating spaces.